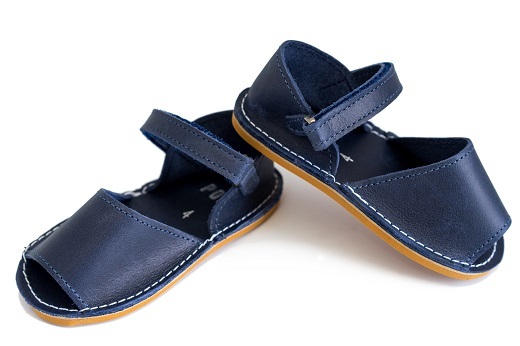 These kids Avarcas are in a rich navy color which we love to see on little gentlemen or little ladies. 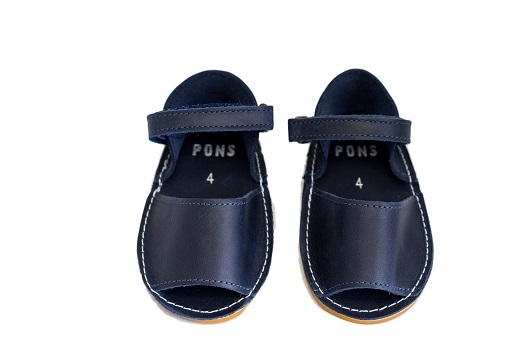 Our Little Frailera Pons Avarcas for Kids in French Blue are lovingly handcrafted on the island of Menorca with high quality butter-soft leather. 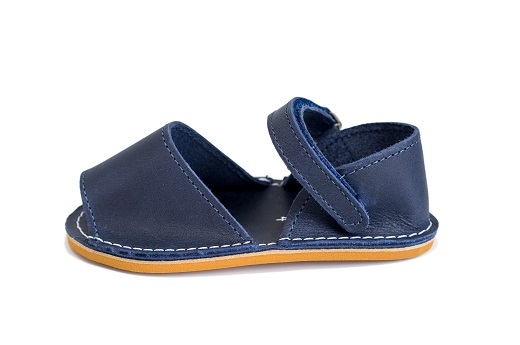 Featuring an adjustable velcro closure, these little Pons sandals are also made with a lightweight, flexible slip resistant sole.